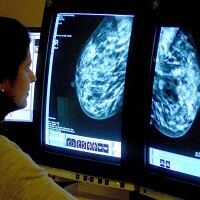 A charity has slammed the "virtually non-existent" attempts of NHS organisations to monitor breast cancer quality standards. In 2011, the National Institute for Health and Care Excellence (Nice) laid out best practice instructions for delivering high-quality care for breast cancer patients. But now, Breast Cancer Campaign has issued a new report warning there is a lack of checks and reporting on the performance of the advice, with the health regulator suggesting more needs to be done. With calls for NHS England to carry out an annual review of how institutions are adhering to the Nice standards on breast cancer care, the charity's chief executive, Baroness Delyth Morgan, said: "It's not enough to pay lip-service to standards of care and consider that job done. There is an urgent need to ensure that appropriate levers and incentives are in place to deliver these improved standards of care. "The breast cancer quality standard is a vital tool which if we harness to its full potential, will help greatly to improve the standards of care in a rapidly changing NHS that all women living with breast cancer deserve. Women living with breast cancer face many challenges, but poor-quality care should not be one of them." Professor Gillian Leng, director of health and social care at Nice, said: "Nice guidance has already helped to raise the quality of care for people with breast cancer. This report from Breast Cancer Campaign highlights there is still more to do. "Nice has systems in place to support the implementation of our guidance and quality standards. We are working with the Care Quality Commission to ensure their monitoring processes and systems take account of our recommendations. "We will continue to work with NHS England to review the uptake of our quality standards and support them in raising the standards of all NHS services through the commissioning process." Sean Duffy, national clinical director for cancer at NHS England, added: "We want world class cancer services for all patients and all cancers. What we know is that although we have made great strides over recent years, quality varies between cancers and across the country. "That is why it is so important that providers and commissioners of services ensure that care reflects the quality standards set out by the Nice. These standards are based on evidence guidelines and serve as the best advice for the delivery of high-quality care. We will continue to champion this with providers and commissioners." For those wanting to put their worries behind them, breast cancer patients are reminded of the availability of travel insurance for cancer patients for enjoying time away from hospitals and care facilities.